Whether it dangles from chromatin or freely wanders the nucleoplasm, long noncoding RNA (lncRNA) does little to influence gene expression. But just after it is released—when it is free of chromatin but still close to its genetic target—lncRNA can recruit transcription factors before it diffuses away and loses the name of action. These mechanistic details emerged from a study of lncRNA conducted by a Danish–German team of scientists. The team may even have had Shakespeare’s Dane in mind when they determined that a lncRNA called A-ROD (Activating Regulator Of DKK1 expression) may, once it is fully transcribed, participate in enterprises of great pith and moment, but not if it waits too long. Details of the study appeared April 23 in the journal Nature Communications, in an article entitled “Long ncRNA A-ROD Activates Its Target Gene DKK1 at Its Release from Chromatin.” This article describes how the scientists, who were based at Aarhus University, focused on lncRNAs that can enhance the production of specific mRNAs, and hence proteins, in breast cancer cells. The scientists showed that the expression of lncRNAs can boost the expression of specific proteins involved in cancer. What is novel in the study is that not only where and how much of a particular lncRNA is produced matter, but also how the lncRNA is dynamically distributed within the cell. The authors showed that the A-ROD is functional only at the moment it is released from chromatin into the nucleoplasm. At this transient phase, it can bring transcription factors—proteins controlling the synthesis of other genes—to specific sites in DNA to enhance gene expression. After its complete release from chromatin, A-ROD is no longer active as an enhancing lncRNA. In a way, A-ROD functions as a lasso that can be thrown from DNA to catch proteins. The results are exciting both from an experimental and therapeutic point of view, as the strategies for targeting RNA expression in the cytoplasm, the nucleoplasm, and at chromatin differ widely. 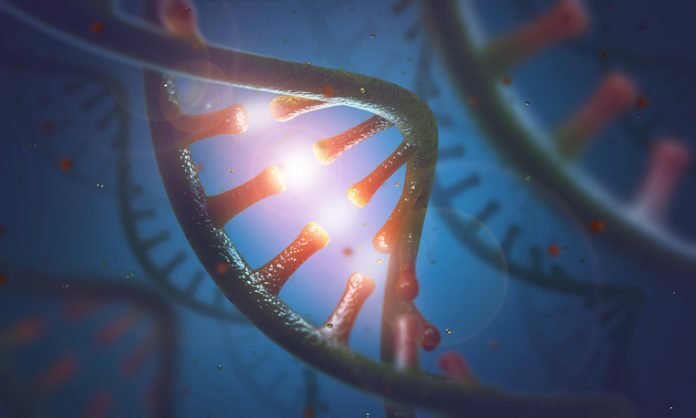 The team behind the study believes that these differences can be exploited to optimize the approaches for targeting RNA-dependent processes in disease. A future scientific goal is to identify more of the ncRNA lassoes to fully understand their potential and application in regulation of gene expression.